Relaxing and Revitalizing sessions are now available! Simply put, BEMER (pronounced BEAM-er) is a clinically-proven device that improves blood flow in people and animals. In fact, BEMER is one of the most researched methods of enhanced blood flow, oxygen and nutrient delivery in the world! Your body needs healthy levels of oxygen and nutrients. Without them, your cells cannot work properly, resulting in less energy and increased acidity in the body. BEMER research is documented in over 50 medical publications. It is an FDA registered medical device with 5 international patents. NASA is working with BEMER technology for our astronaut spacesuits! Medical Doctors and Health practitioners (Chiropractors, Dentists, Massage Therapists, Acupuncturists, and Veterinarians) use BEMER in their offices around the globe! In addition, many Professional athletes rely on BEMER’s cardiovascular benefits to enhance their training and competition. There are over 1 million BEMER users Worldwide! An increasing number of people are purchasing BEMER units for home use, to ensure continuous and cumulative benefits. You can purchase a unit through our Center at selfcare.bemergroup.com. 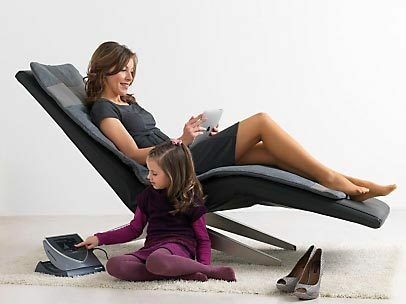 BEMER is easy to operate and can be used by the whole family. What are BEMER sessions like? It’s so simple. Lay comfortably on the body mat for 8 minutes, close your eyes and relax. That’s it! Depending on your health concerns, small applicators can be applied to the area of concern for an additional 8-20 minutes. Wear your normal clothing, and remove your shoes. The better your blood flows, the better your body works! How Can I Experience a BEMER session? The Center for Integrated Holistic Medicine proudly offers BEMER sessions. Consider adding a session during your next regularly scheduled acupuncture appointment with Dr. Orest Pelechaty for an additional fee of $30. Discounted packages are available upon request. Disclaimer: BEMER products are in no way a substitute for professional medical care. No claims have been made using BEMER products. Statements are not intended to diagnose, treat, cure any medical condition or disease. Please consult with your own physician or medical provider if you have any medical concerns.